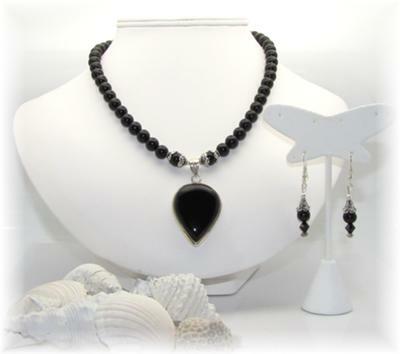 Description: Cheri created this beautiful onyx and silver jewelry set. 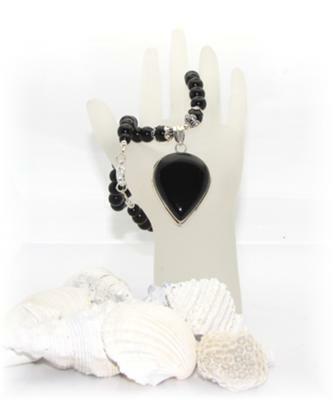 I love the depth of these stones - they shine and feel very smooth to the touch. This set makes the Classic wardrobe very elegant and matches with most outfits, especially the little black dress that we all love so much.